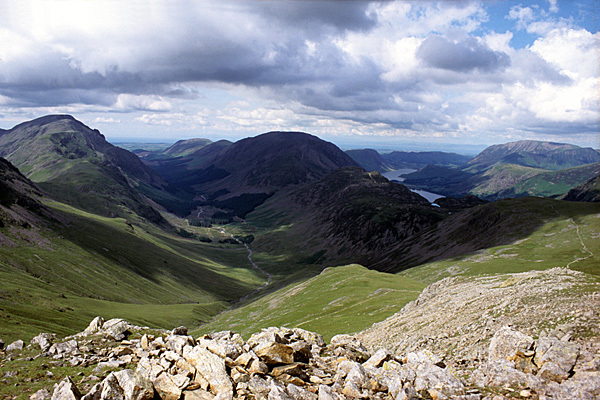 The Western Lake District and a view along Ennerdale and Buttermere. 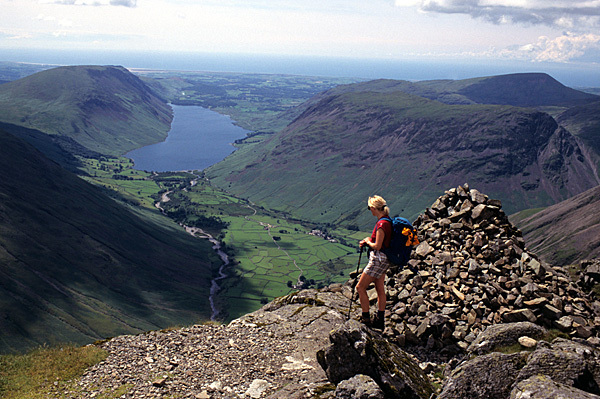 Enjoying a view of Wasdale from the Westmorland Cairn on Great Gable. 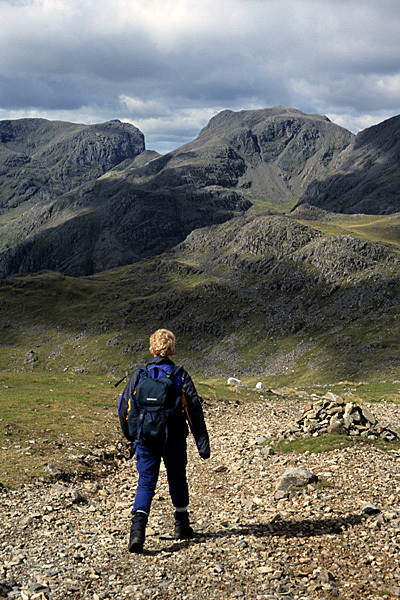 A walker follows the path from Bowfell towards the Scafell range. Living on the fringe of the Lake District means that it's always easy to get out for an excellent day's walk. 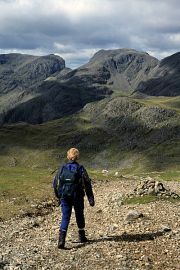 A good walk in the Lake District has often found places in magazines, with literally hundreds of routes being featured in recent years. When Terry Marsh was doing some editorial work for Dalesman Publishing, he asked for two small, unillustrated volumes covering a variety of walks all over the Lake District. As all the information was readily to hand and up-to-date, they were delivered in a matter of weeks. The line dividing the 'western' volume from the 'eastern' volume runs from Keswick, down the main road over Dunmail Raise, to Grasmere, Ambleside and along the length of Windermere. There are 35 walks in the 'western' volume, grouped in 13 areas for convenience. See here for the companion 'eastern' volume. The walking routes in these two little guidebooks are of course only a small selection from hundreds of Lake District walking routes that have been written over the years.